9:00 PM FRIDAY - Breaking News: Todd Palin’s sister, Diana Palin was arrested for breaking and entering in Wasilla, Alaska yesterday. Some of you may recall that Levi Johnston’s mother, Sherry Johnston, was also arrested (but on drug charges, and in January), and is scheduled to go to trial in May. I bring this up because it occurred to me tonight that the Palin Clan really is the modern version of the Beverly Hillbillies. Trailer courts, drug dealing relatives, child pregnancy, drug busts, and now petty burglaries. 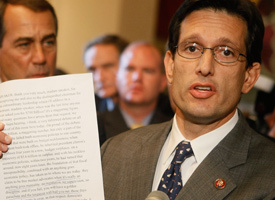 A model, truly law abiding, fine example of a Christian-Republican family indeed. Oh my. 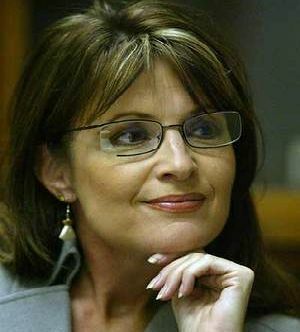 More revelations about Sarah Palin. Er....the Beverly Hillbillies comes to mind. 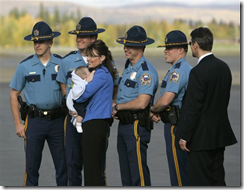 “On top of the $150,000 first outlined in Federal Election Commission filings, Palin spent "tens of thousands of dollars" on additional clothing, makeup and jewelry for herself and her family, including $40,000 in luxury goods for her husband, Todd, our colleague Michael Shear reports. The campaign was charged for silk boxer shorts, spray tanners and 13 suitcases to carry all the designer clothes, according to two GOP insiders. "The shopping continued after the convention in Minneapolis, it continued all around the country," one source said. "She was still receiving shipments of custom-designed underpinnings up to her 'Saturday Night Live' performance" in October. Sources said expenses were put on the personal credit cards of low-level Palin staffers and discovered when they asked party officials for reimbursement.